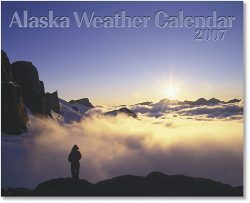 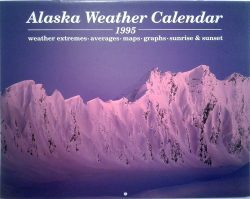 A beautiful wall calendar illustrated with superb photos from all around Alaska and interesting weather and climate information. The few copies left have minor flaws, such as scratched covers or minor printing flaws. 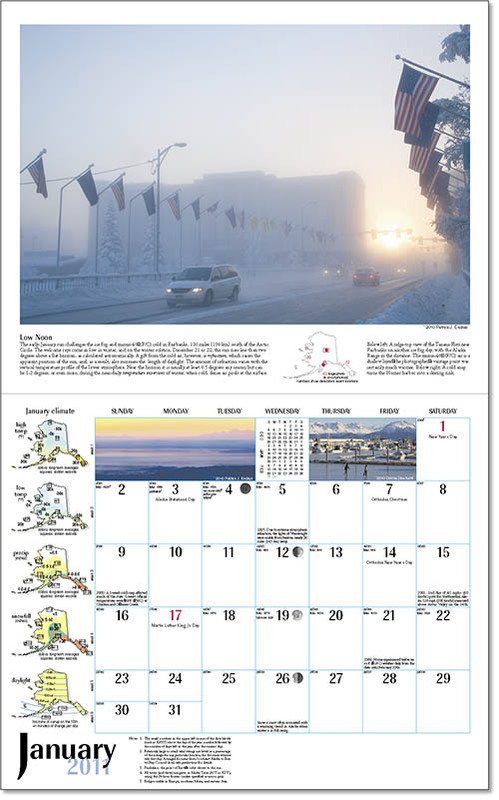 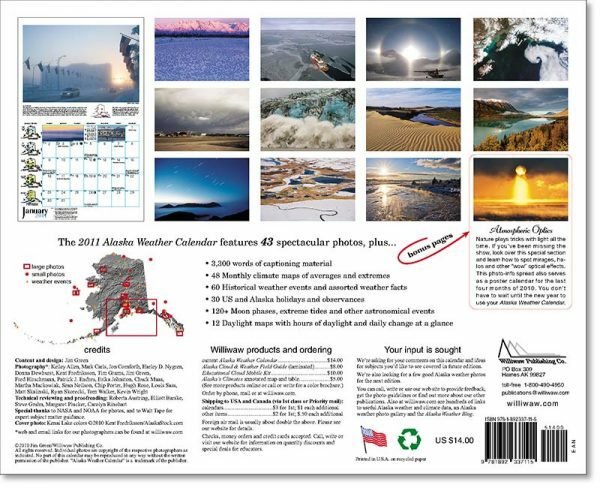 The 19th edition of one of Alaska’s favorite calendars, filled with photos, facts and figures about Alaska’s weather and climate. 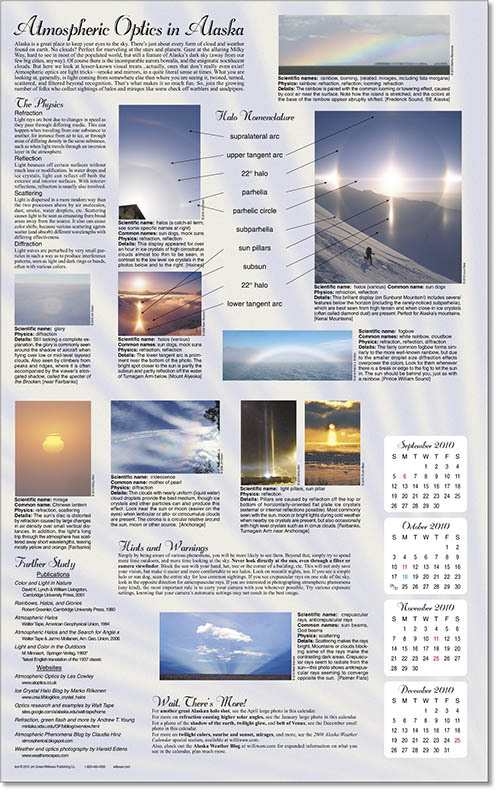 Includes a special section on atmospheric optical effects with more photos and information. 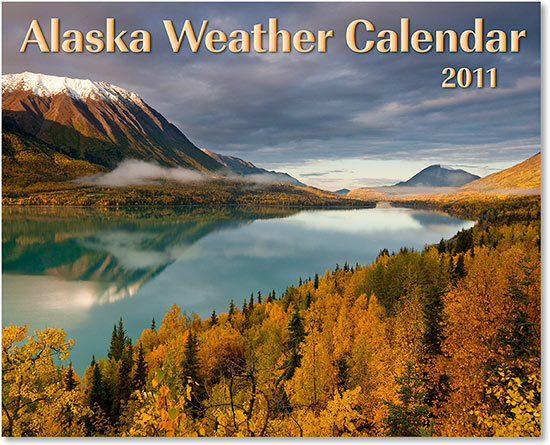 Not only has the usual calendar information such as dates and holidays, but extensive astronomical info such as moon phases (new (with time),1st quarter, full (with time), last quarter), eclipses, equinoxes and solstices, meteor showers, star and planet groupings, extreme tides and more.